Back in March, I participated in a play, Antigone, put together by my acting school. The director also knew that I was an illustrator so he asked me to make the poster design as well. 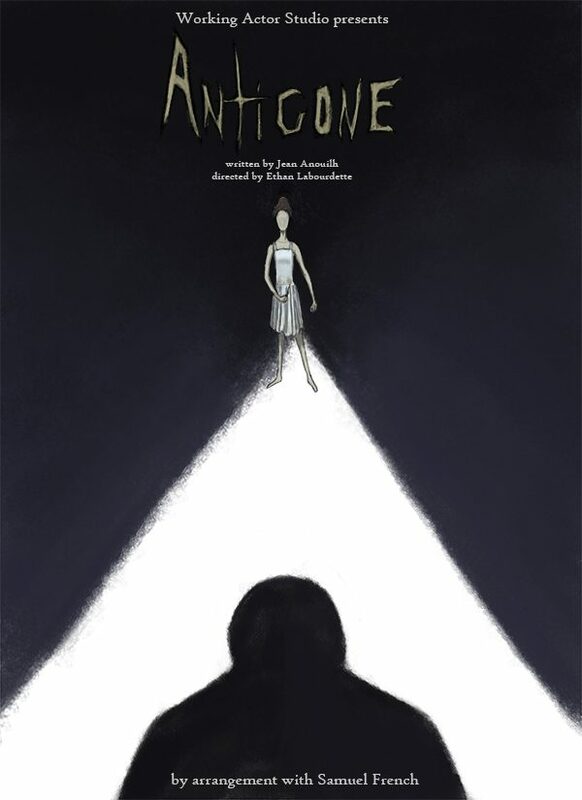 It was great to work with him and get his point of view on what Antigone is really about, as it gave me a strong approach when it came to making the poster. After a few preliminary sketches, we settled on a poster that showed defiance against a strong, larger-than-life figure, pitting Antigone against Creon.